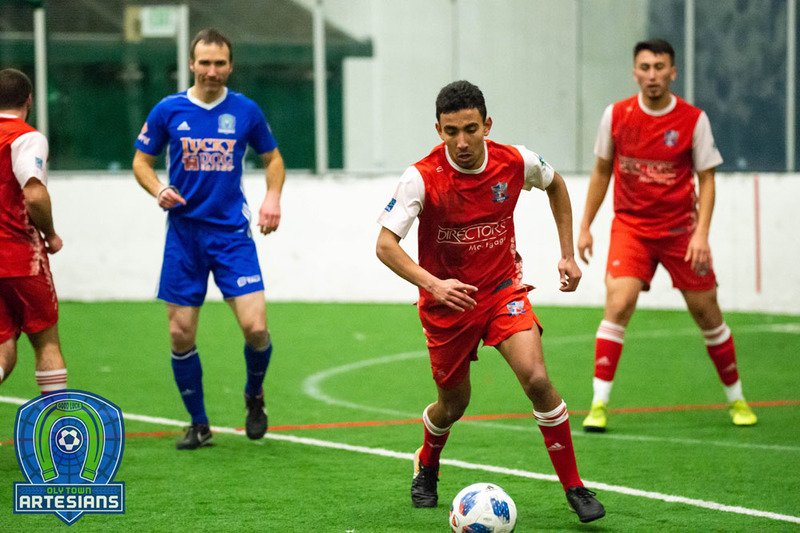 BREMERTON, Wash. – Christian Segovia recorded his first hat trick for Oly Town FC, but the Olympic Force exploded for nine second half goals to drop the Artesians, 14-8, at the Olympic Sports Center on Saturday night. 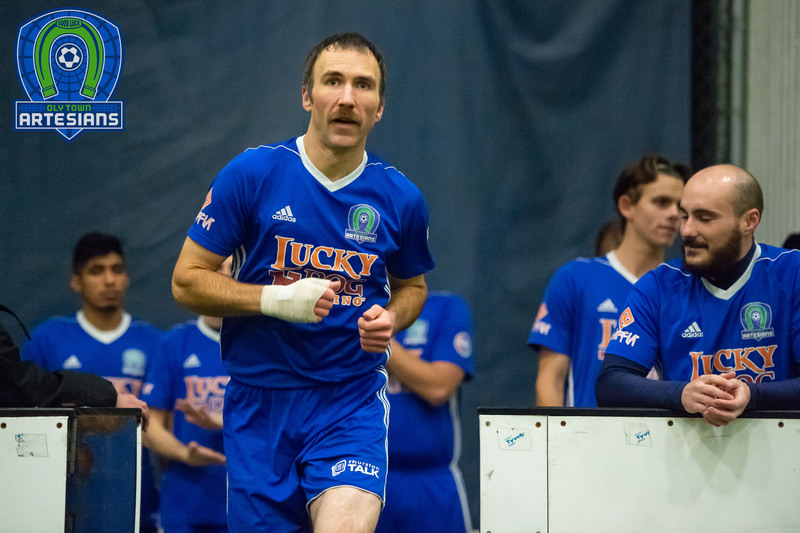 Alejandro Hernandez and Colin Ralson each had a hat trick for the Force and Izzy De Luna chipped in four assists in the Western Indoor Soccer League win. The night started out promising for the Artesians after taking a 2-0 lead behind goals by Segovia and Jordan Zimmerman, but Olympic scored the next four goals to take a 4-2 lead near the 12 minute mark of the second quarter. Goals by Gabriele Zaccagnini and Matt Stalnik tied the game at 4-4 and both teams added one more late in the half for an even 5-5 score line heading into the locker room. After the half, it was all Force. They scored six straight goals to take an 11-5 lead before JT Meyer finally stopped the bleeding with a goal midway through the fourth quarter. Segovia then collected his third goal and Brett Stallworth poked one in late, but Olympic continued to pour it on and finished with 14 goals for a six goal victory, their first of the season. 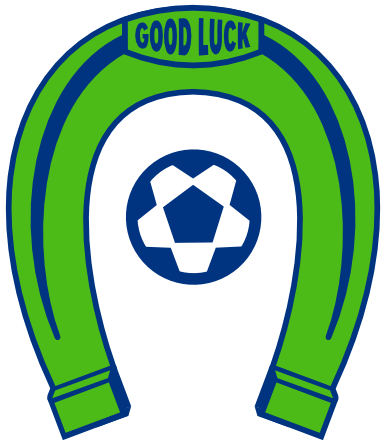 The Artesians fell to 0-3-0 this season and have allowed double digit goals in each of their first three games. 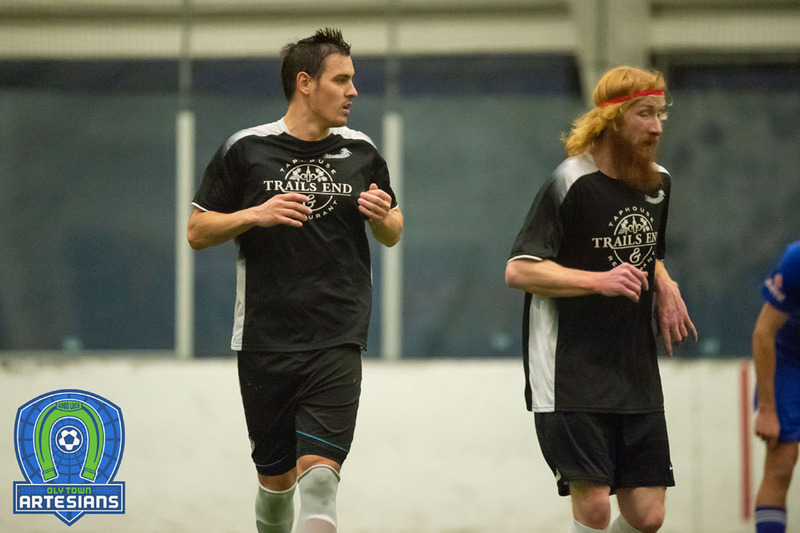 They return home to take on the Tacoma Stars Reserves on Saturday, December 16th. First kick at The Pavilion at The Evergreen State College is set for 6:30. Tickets are available by visiting www.olytownfc.com.